Tmt. Shilpa Prabhakar Satish I.A.S., Collector and District Magistrate is an officer of the Indian Administrative Service belonging to 2009 batch. 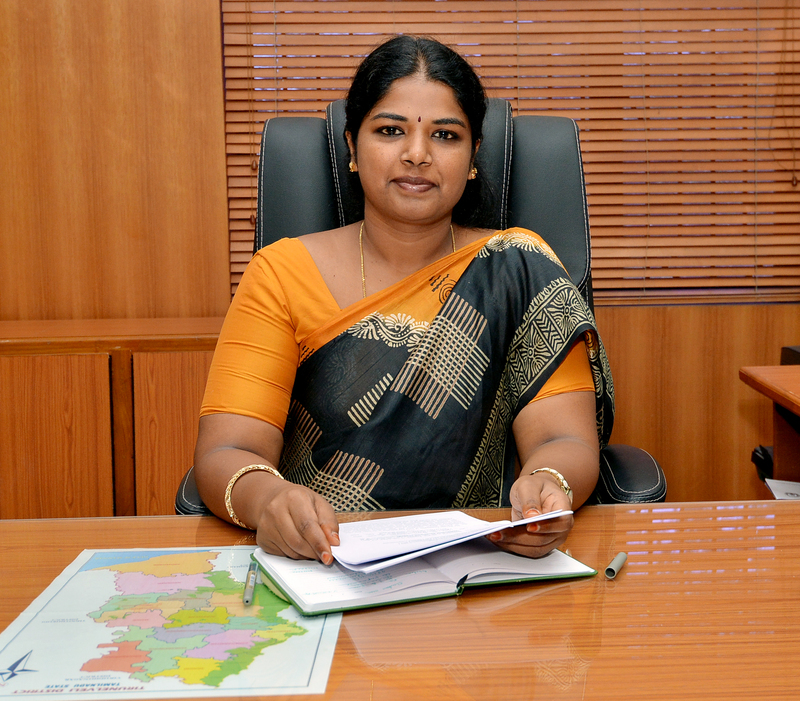 Being the 215th Collector, she is the first woman Collector for the district. Ms.Shilpa is a graduate in Law (LLB from Bangalore University) and scored 46th All India Rank in 2009 UPSC examinations. She was trained as Assistant Collector in Tiruchirapalli district in 2010 and was posted as Sub Collector for Tirupattur sub division of Vellore district between 2011 to 2014. Later she served as Deputy Commissioner (Education) at Chennai Corporation for a year. After which she was posted as Executive Vice Chairperson for Industries Guidance and Export promotion Bureau, Industries department Chennai. In this capacity her team worked towards implementing Business reforms action plan across various departments to promote ease of doing business in the state. Heading the investment promotion wing of the state she got developed the single window portal which paved way for several investment proposals coming to the state. She took charge as District Collector Tirunelveli on 25th May 2018.